Paul Gilroy’s Black Atlantic (1994) is a difficult read but it’s a very influential book. An author who builds further on Gilroy’s work and who writes very accessible books about blackness is Livio Sansone (professor of anthropology at the University of Bahia, Brazil). His book ‘Blackness Without Ethnicity’ (2003) was a very insightful read that I recommend to anyone interested in the subject. In this book he compares black Brazilian experience and cultural production with the African American experience (check this blog www.afrobrazilamerica.com on the difference between black US and black Brazil experiences). 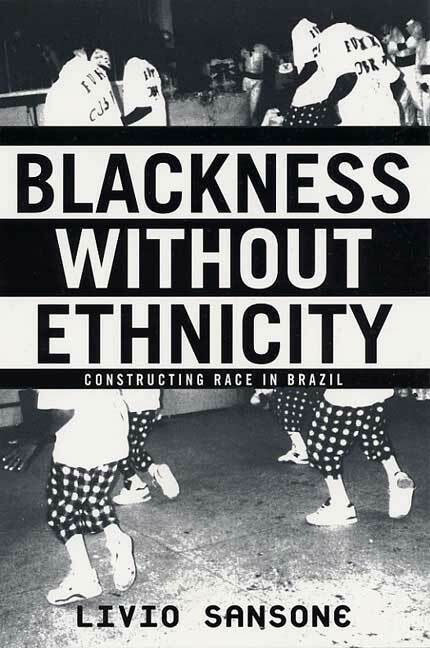 One of the chapters of the book even goes further and is based on his research among black youth in Amsterdam compared to black youth in Bahia and Rio. Generally Sansone has written interesting articles about balckness and Western Afro cultures (check this article) . Below I will give my understandings and perspectives on the Black Atlantic, as an inherent part of the broad social and cultural entity called ‘The West’. There are black people living in all countries of the Americas, in Europe and of course in Africa. The history of all these black populations is interrelated and all in reference to their relation to white European culture. African nations are (unfortunately) a consequence of European history and international affairs. African elites have often Europe and European languages as a reference point for culture, knowledge and social emancipation. The same thing can be said in an even more thorough sense of Latin America. All these cultures, or at least its elites and urban populations are therefore according to me part of the same Western world. But the black populations of these nations are not all the same, just as all these countries differ from each other although being interrelated in history. Black Brazilians experience race in a very different way than African Americans. Black Britons do not express their identity within the UK in the same way as Black French communities in France. Each country has its own dynamics, history, culture and identity. Still there is also much in common which is all centered around three elements: history, race and Africa. Race as a social concept has been created through the history of Europe’s self-identification. Not only did Europe create its own identity in contrast to the (predominantly Muslim) East, but also in contrast to the ‘primitive’ black Africans in the South. Creating the concept Europe meant creating ‘whiteness’ and defining it in contrast to all it is not. This history lives on in current societies in Africa, Europe and the Americas. It took different shapes and contents but has kept a common framework in which the lighter one’s skin is, the better the person is perceived (also in Africa). It would be too complex to bring all different forms of blackness in all countries bordering the Atlantic in one post, but the Black Atlantic is definitely an interesting starting point for a whole new historical and social analyses of the Atlantic world with its common history of racism, slavery and colonialism. While the US have had in the 20th century a dominant place in the culture, economy and political arena of the world, their concepts and expressions of race have had a big influence on the black populations from Kenia, France till Peru. But we can not only focus on appearance and jump to conclusions. Black populations found American elements of blackness and incorporated it in their local culture. Although black urban culture form the US has influenced black kids from Paris, Cape Town, Dar-es-Salaam, Berlin, … it has often shaped the form, not always the content. Africa has played a major role in the creation of the African American identity. This happened in retrospect, i.e. the black populations of America rediscovered their African heritage in the 20th century and used Africa as some kind of reservoir of symbols from which to draw inspiration to create an identity. Why creating an identity? As we can read in the works of Booker T. Washington or W.E.B. DuBois and later Césaire , blacks in the West wanted to be accepted as an inherent part of the cultures they inhabited and had assimilated. Unfortunately the racism that Europe had created in the creation of its own identity didn’t make this possible. Being black meant not being fully American, not being really French, not being accepted as a full member of the nation … (Brazil’s political leaders incorporated the concept of "raça mestiça"’ (mixed race) as an inherent part of its identity starting in the 30’s, in Cuba it only started in the 60’s while the rest of Latin America only recently acknowledges its mixed identity, still Africa keeps a marginal place in this mix). In a world where blacks felt home but rejected by the white reference they felt the need to rethink their identity. This rethinking has resulted into African American culture with its Harlem Renaissance and Dubois as its most important intellectual. This American experience dripped down to all black populations in the world, and has put a mark on the form of many black communities throughout the Atlantic world (as the experience of exclusion through racism works essentially in the same way throughout the Western world). While black kids in Brazil wear the same sneakers, caps and golden chains, and even greet each other the same way as their black contemporaries in Alabama and Marseille, they do not all consume the same culture as such. While French urban youth listen massively to rap music, their rap music is not the same thing as rap in the US, ‘funk’ in Brazil’s big cities, reggaeton in Panama or dancehall in Kingston, Jamaica. All this cultural expressions look the same, are dominated by dark skinned, often poor, urban youngsters, but they are all very much rooted in the local culture and mentality. Today black French or black Brazilian also look directly at Africa, directly and not through the US spectrum only. They look at the content, but mostly take the forms (the masks, the symbols, the colours, rhythms, styles …) for inspiration and self identity. While e.g. the Jamaican Rastafarian movement drew its inspirations from Ethiopian symbols it gave it another content. This new Rasta culture was picked up by Africans afterwards and given again a new content, while black French mixed other African symbols from West-Africa with Jamaican symbols and North American ones to create yet again a new identity. And this goes on and on. On the surface you might be tempted to think that being black in London, Amsterdam, Paris, Chicago or Sao Paulo is the same thing. Well it looks the same thing, its rooted in a common historical and social framework but it is not exactly the same thing. It’s a constant dialogue between cultures. They all wear the same clothes and their music is all rhythmically based and mixed with rapping styles and soul vocals. The form is definitely based on the American example and reference for the whole Atlantic world. The content though, is determined by the local social dynamics, the local history, language and culture. You can’t just transplant black experience in the US on the life of blacks in the whole world. Although all black people of the Atlantic world share a common framework of racial stereotypes. The way these stereotypes are played out locally is often very different. Still, the Black Atlantic exists and is most ‘visible’ in musical productions and all expressions surrounding it. I was stunned to hear the champeta music in Cartagena, the black capital of Colombia, and realize it sounded just like the soukous and ndombolo styles of Kinshasa and nowadays most parts of black Africa (which was inspired in the 70’s by Cuban rumba). I was just as surprised to see how Central American youngsters re-interpreted dancehall music from Jamaica and called it reggaeton . I was amazed to see how the black crowds of South Africa incorporated techno and house into their local kwaito music . I was charmed to see how street kids in Nairobi imitated US rappers but mixed it with the traditional rhythmic story telling style of their forefathers. I fell in love with the mix of techno, reggae and hip hop that resulted into the British scenes of UK garage , jungle , drum&bass and ultimately grime/dubstep and 2step. And most recently I experienced how Angolan kuduro (itself an interpretation of US hip hop) became a new style of techno in Lisbon through the productions of Buraka Som Sistema. This kuduro sound is right now influencing Brazilian funk. There is so much to experience and tell. There is a constant dialogue between populations of the Atlantic, a dialogue dominated by its black populations is what is called the Black Atlantic, a dialogue that existed before internet and only intensified since then. This dialogue isn’t exclusively black in a racial sense. Blacks have always incorporated mixed race people within their communities, blackness is in a way a cultural expression of mixing and hybridity. It is those parts of Western culture which Western culture rejects as being part of its own identity. It therefore becomes ‘black’ or ‘world’. The Black Atlantic doesn’t exclude white people, on the contrary. Many whites are and were important actors within the cultures of the Black Atlantic, but it is a culture dominated by the poorest and predominantly dark skinned peoples of the Atlantic, a culture of bricolage and mixing, meeting and creation. Often, once great many people with no biological dominant African ancestry adopt the cultural expressions of the Black Atlantic, the mainstream (white) establishment is prepared to integrate it into what is called ‘Western culture’. Then it becomes colorless, i.e. just French, American, Western, … and the term black is faded out. Examples are today found in house music , techno, electro and rock, but also in the way painters such as Picasso integrated African elements within the high culture of Europe. If Picasso would have been a mixed race person of African or black Caribbean ancestry I guess his paintings would have been defined as ‘afro’. In this Black Atlantic, Africa and its history functions as some kind of reservoir of symbols, from which we all draw inspiration to create and re-create our identities. That is what blacks in Paris, Berlin, Rio, New York, Amsterdam all do, that is what the Black Atlantic actually is. Today this re-interpreting of our African heritage within the Western world is still in full swing and it’s still a struggle to make the West (or at least our home countries) aware of their African heritage. For me personally Jungle music and the culture surrounding it expressed in a perfect way the symbiosis of black and white within my world. This is/was music that brought all together, all styles and all colours. It was the 90’s, it was fresh, it was ‘black’, but it was immediately assimilated by white youth too. It’s urban, and it definitely has its roots among the poor urban minorities of the UK. But it’s music for all. Therefore I want to end this post with 3 video’s: first an interview of Goldie in 1996 (and check his very LAST WORDS), second a video of Congo Natty, junglist nr1. Who emphasizes the black nature of jungle music and finally a track (Brown Paper Bag) from the best selling jungle album (and a must have) from Roni Size, which was out in 1997. Still so fresh! Very interesting post Sibo. I read one of Livio Sansone's book (Dutch) ‘Schitteren in de schaduw overlevingsstrategieën, subcultuur en etniciteit van Creoolse jongeren uit de lagere klasse in Amsterdam 1981-1990, uit 1992’ , (‘Shining in the shadow survival strategies, subculture and ethnicity Among lower class Creole Men in Amsterdam 1981-1990 from 1992’ ). You wrote that in one of the chapters of his book ‘Blackness Without Ethnicity’ (2003) “he even goes further and is based on his research among black youth in Amsterdam compared to black youth in Bahia and Rio. “ I think this based on the book ‘Shining in the shadow’ . In my short political career I remember his book ‘Shining in the shadow’ was used to generate policy ideas, because he had linked ethnicity, identity and work ethic of black Surinamese youth to their social problems. One of his conclusions was that the black culture of lower class Surinamese was the cause of their unemployment. Needless to say, his ideas received wide media attention. I am not saying that Sansone has totally missed the point in this book, but some of his conclusions were a little bit questionable. This lecture addresses much of content of this post and IMO in a very positive way. Whatever we perceive our differences to be our socio-political circumstances are all very similar whichever culture-linguistic group we find ourselves among. What do you think? For those who live in the United States the CNN series "Black in America" will be airing tonight Sunday, December 8, 2012. The specific topic will be: "Who is Black?" The touchy theme of "colorism" will be tackled by journalist and the show's producer, Soledad Obrien. Ms. Obrien self-identifies as a Black female. A Black Latina, to be exact. (Afro-Cuban mother, white Australian father). Should be enlightening.